The Soil is strikingly handsome and this 1714 Stradivari has had more experience at the concert platform that just about another violin. Played by Itzhak Perlman, the Soil is widely thought to be to be the most productive sounding Stradivari ever created. Other owners of this iconic instrument are French luthier and collector Jean-Baptiste Vuillaume andYehudi Menuhin. The wonderful thing about the violin is foundin it is extravagant maple wood figure which is illuminated and partly covered by Stradaviri’s greatest varnish. Reproductions of the 1714 Soil are to be had within the STV 750, 850, 950 and 1500 models by Scott Cao. 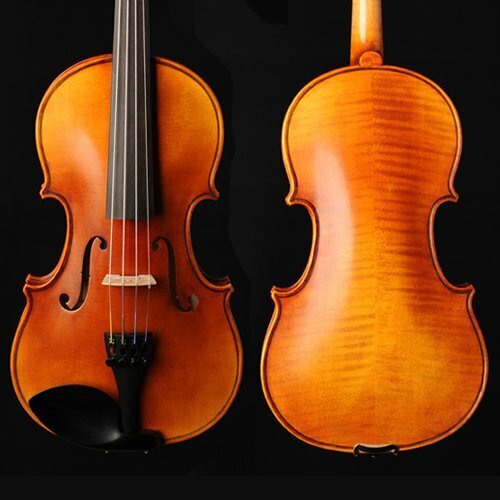 All models of Scott Cao Violins are professionally setup and able to play.